The Club de Artesanas (CdA) dye pots have bubbled and boiled weekly. The Huancarani weavers who visited the PAZA workshop on Sundays and saw the results hanging to dry began dropping off their handspun skeins for the Club to dye. 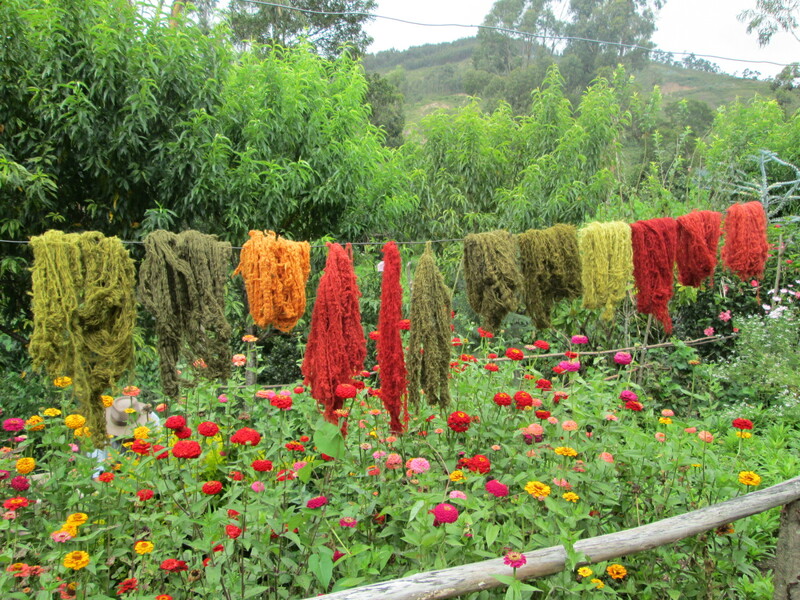 PAZA dyes a skein in every dye pot to provide the Huancarani weavers the option of purchasing dyed skeins. The handspun yarn from local wool is purchased at $10 kilo, usually from elders who are no longer weaving. The price is not marked up by PAZA, but 28 cents is added for each skein dyed. One Sunday, Doña Justina picked up her payment for the aguayo purchased by Katie Simmons and immediately invested 10% of it into the dyed skeins. Her purchase sparked a shopping frenzy, and all the Huancarani weavers left with a few purchases. There has been a striking improvement in the color coordination of the yoga mat straps, which has been the weaving focus over the past few months. 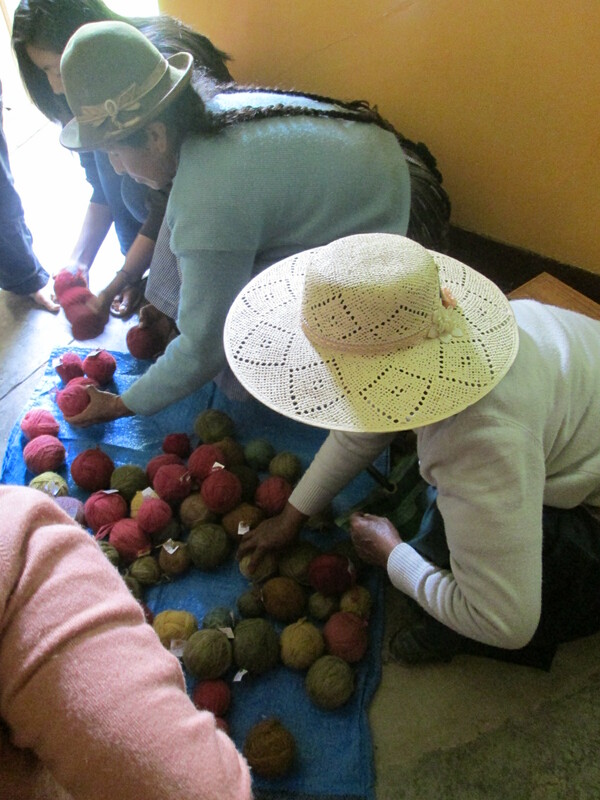 The weavers are definitely having fun playing with the rich cochineal reds and earthy hues. The new CdA Saturday session of teen girls began early in the month with 3 returning members. Four more joined by the end of the month. Gabriela Acosta, a high school senior, who was a member in 2011 and 2012 was hired as the trainer. 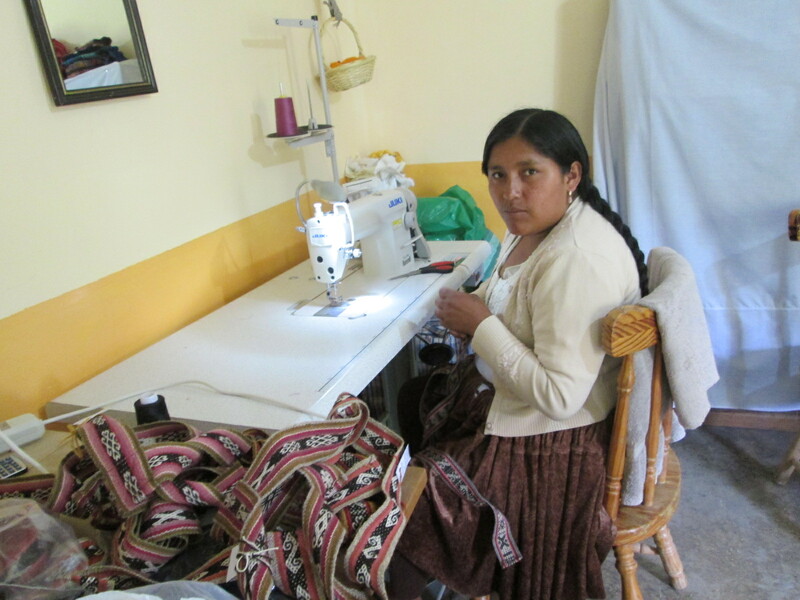 Of the 6 chicas, 3 do not have mothers, so hopefully the CdA activities will encourage skill development they would have learned from their mothers. All expressed an interest in crochet projects and in learning how to sew. Time will be spent as needed to go over English homework. 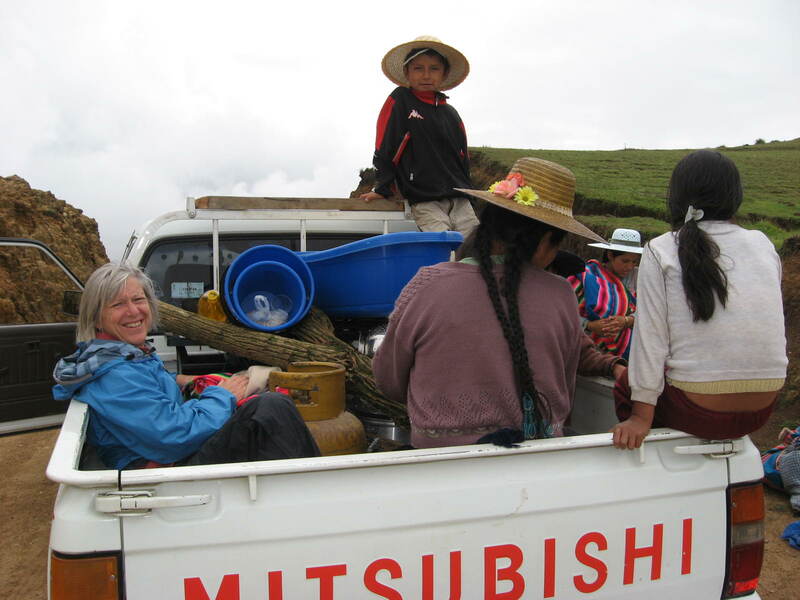 All the chicas speak Spanish and Quechua, so with some help working on verbal skills, some may advance quickly with English. 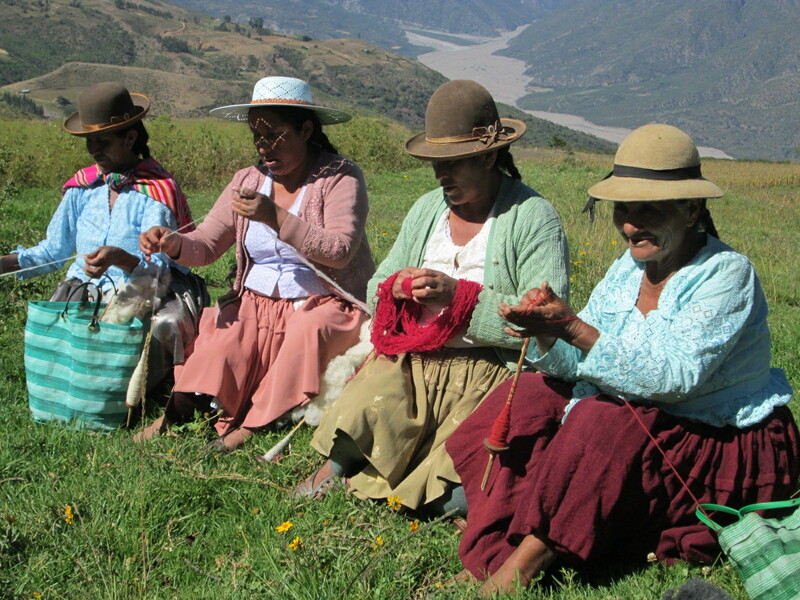 Doña Maxima is reserving Tuesday afternoons for teaching weaving. The CdA chicas or other women and/or chicas with an interest in learning to weave to sell are welcome to attend. PAZA will provide the yarn for the classes and for the first yoga mat strap a new weaver sells. The President of the Women´s Organization of the rural community of Link´u had visited a few months ago to deliver a written request for baking and natural dye workshops in Link´u. 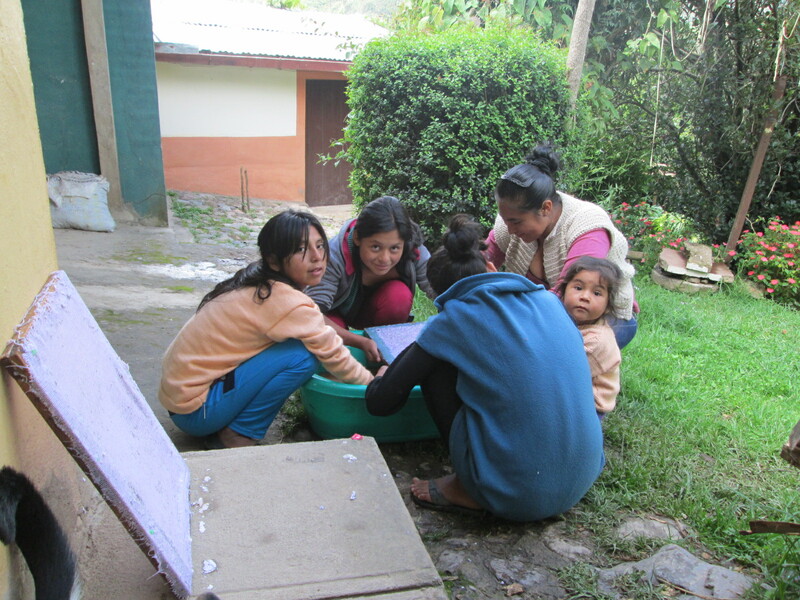 Doña Máxima and Dorinda provided numerous dye workshops in that community in 2008 to 2010. Dorinda hitchhiked on Fridays for 3 months with bags and a backpack of supplies to teach baking workshops in 2009. There were no sustainable results for those expenses and efforts. When the Link´u representative returned to set a date for a workshop, Doña Maxima was ready with an option. PAZA does not have funding for transportation so cannot offer workshops in rural communities. However, a community representative would be welcome to attend CdA workshops which will be geared to train her as the local trainer for her community for dyeing and/or baking. Three Link´u weavers who had sold through PAZA until local politics got in the way would like to sell again. PAZA offered to dye skeins for them during CdA dye days at no charge to get them started. 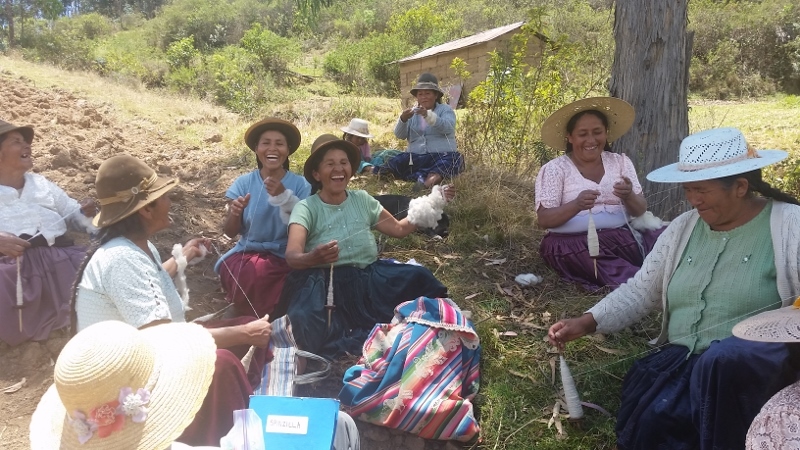 Each weaver will need to work with Doña Máxima to get up to speed on weaving to specifications. She will also help them warp their first orders. They will be thrilled with the pricing for the yoga mat straps, which is more than they made for a ch’uspa (shoulder bag) 6 years ago. Dorinda will be traveling to the U.S. in May. Please send an e-mail if you would like to place an order for yoga mat straps, ch´uspas, zippered bags, or a specific sized weaving. Time is running out….. dkdutcher@hotmail.com.